DOES YOUR EXHAUST GAS ANALYSER NEED UPDATING? DOES YOUR DIGITAL SMOKE METER NEED UPDATING? Look no further than AutoTest. AutoTest’s combined Smoke Gas Analyser is a user friendly analysis tool designed to improve how the gas efficiency of a vehicle is measured. Distributed throughout the UK and DVSA endorsed, AutoTest® Smoke Gas Analyser is MOT approved and suitable for Class 4 and 5 vehicles. Battery operated, the AutoTest® Smoke Gas Analyser measures the contents of the exhaust gas and lets you know how compliant the vehicle emissions are according to the current regulations. 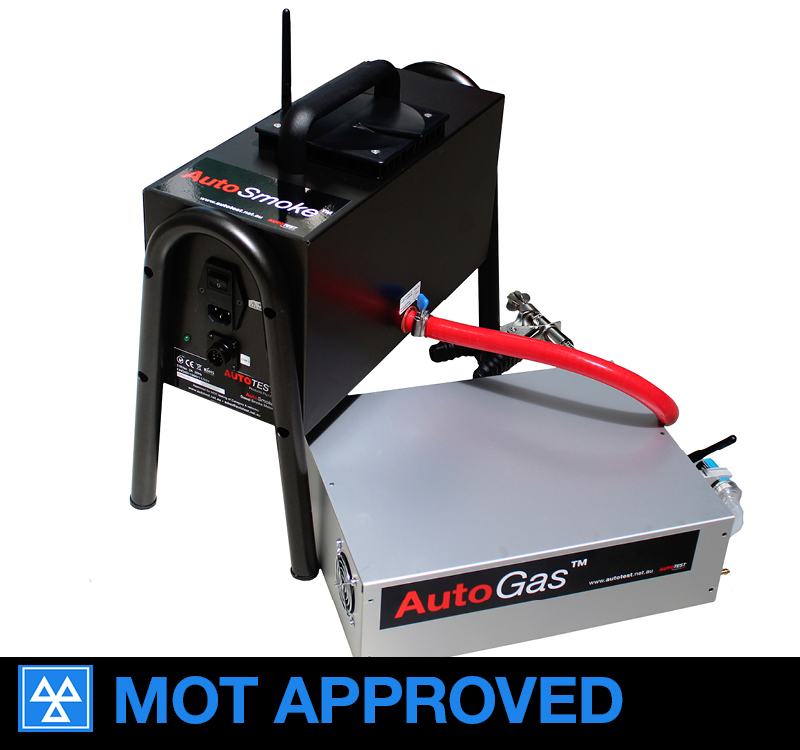 The combined device includes a built-in wireless connection between AutoTest® AutoSmoke and the AutoTest® AutoGas. Smoke tests can be carried out using a PC connected to AutoTest® AutoGas, which enables you to easily read measurement data on the screen. Even though the new product itself is simple, it comes with all the required probes, leads and a wireless OBD interface as standard equipment. A comprehensive vehicle emissions testing solution. The AutoTest® Smoke Gas Analyser is designed to respond to the growing needs of various systems and networking in the garage business, aimed at improving work efficiencies and level of service provided to car users. The AutoTest® Smoke Gas Analyser is part of a large product range of DVSA approved equipment offered by AutoTest®. AutoTest® products are calibrated and distributed throughout the UK by Tecalemit Garage Equipment in Plymouth.